Not shocking: Brands and influencers use videos on their social media to promote, engage, and drive traffic. Shocking: There aren’t any tools that can analyze these videos. Let’s kick this off by talking about ViralStat’s Smart Folders. Smart Folders are a unique and effective way to stay on top of content. All content can be sorted, added, and removed as you desire. Discovering new trends in video has never been easier. ViralStat allows you to track and monitor your — or your competitor’s — video campaigns so you can find new video trends and profiles to follow and research. Agencies, brands, and influencers are using ViralStat to analyze video data and build stronger campaigns. Even though it may be hard to believe, you can get lifetime access to this plan for just $49. Need more? You can stack this deal up to 3 times to increase features! It’s true. But only for a limited time. Boost your social video performance now! While there are tools that monitor social pages, none of them give you the in-depth growth analysis on video...but ViralStat does. And, none of them will monitor competitor videos...but ViralStat will. 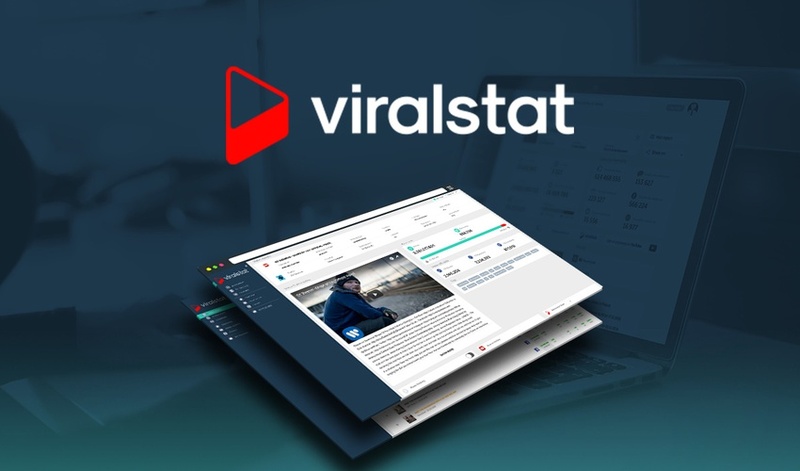 Only ViralStat creates daily charts of most popular videos and profiles — from any country and times frame—and allows you to sort them by views, subs, comments or even engagement. You can also make sure you never miss anything important by setting up email alerts/reports for every event. It’s 2018. Video is a staple in everyone’s social media marketing. But how are you ever going to beat the competition if you don’t have data to improve your strategy? Oh, that’s right. There’s ViralStat. Start analyzing video and profile data now! P.S. Learn all of ViralStat's tips and tricks in our webinar replay here.